For the past couple of months, meat-loving Slimming World followers thought they had found the holy grail of sausages. 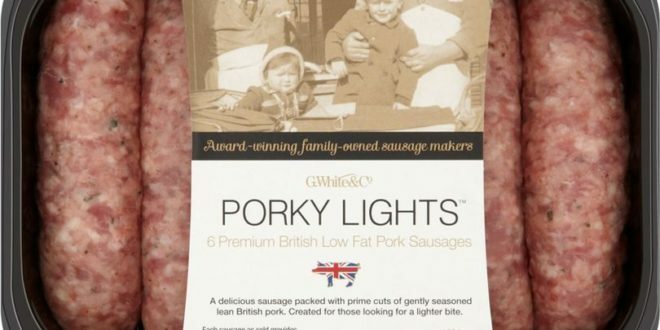 Porky Lights promised all the tastiness and texture of a proper sausage at a fraction of the calories, costing just half a ‘Syn’ on the Slimming World plan – compared to the usual four or five syns for a regular sausage. Slimming World has now revised the Syn value after looking into the nutritional value and realising it’s not quite what it says on the packet – it’s REALLY BAD NEWS for anyone following the plan. Consultants have been told to recommend their Slimming Worlders count 4.5 Syns per sausage until they can get confirmation from the manufacturers of the nutritional content. So if you previously chucked three on to your sandwich and accounted 1.5 Syns, Slimming World are claiming it’s actually 13.5 – which is pretty much your daily allowance all gone. If you’re wondering why you haven’t been losing as much weight as you thought you should, this could be the culprit. UPDATE: Porky Whites have since responded to say that they absolutely stand by their testing which is “100% accurate and watertight”. Mirror Online has seen official test certificates by independent labs which verify that Porky Lights do indeed contain around 3% fat – as stated on the packaging. The company is in talks with Slimming World to establish how the test results were so wildly different, putting the sausages at a 17-19% fat rate. Allison Brentnall, Head of Food at Slimming World, said: “We sent a batch of the Porky Lights sausages away for nutritional analysis as we felt concerned about the fatty texture. “This is something we do routinely with products that we worry may affect our members’ weight losses. “The analysis of this batch suggests that the sausages are indeed much higher in fat than the nutritional information on the product’s packaging had indicated – and this would affect their Syn value significantly. A consultant told Slimming World members: “To help protect your weight loss until we have accurate nutritional information to use as a base for our calculations, the sausages have been temporarily removed from Syns Online, the App and Weight Loss Planner’s Syns search and on the Syns Hotline. Mirror Online has contacted Porky Whites, who manufacture the sausages, for comment.